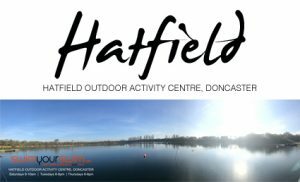 Yesterday saw two more successful ice miles ( subject to ratification ) being completed at DCLT’S Hatfield Outdoor Activity centre in Doncaster. 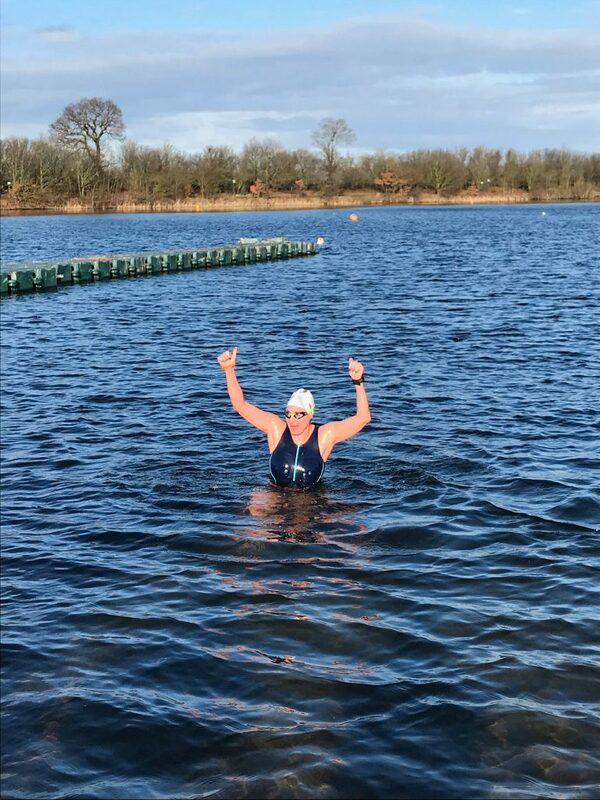 They were completed under the careful watch of four STA winter swimming CPD candidates, who followed the Ice Milers through their post swim briefing, the swim itself and the recovery process. 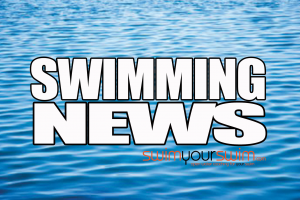 Of the four booked attempts, three swimmers braved the starting line in 3.2ºC water ( one deferral ), two were successful, with one swimmer unfortunately having their swim stopped 150m from the exit. We are pleased to say that they recovered well and will be back in the very near future. We look forward to helping them achieve their goal of an Ice Mile. The first swimmer to reach the finish line was Peter Shanley, who travelled across from the Rhonda Valley with his partner Leona. 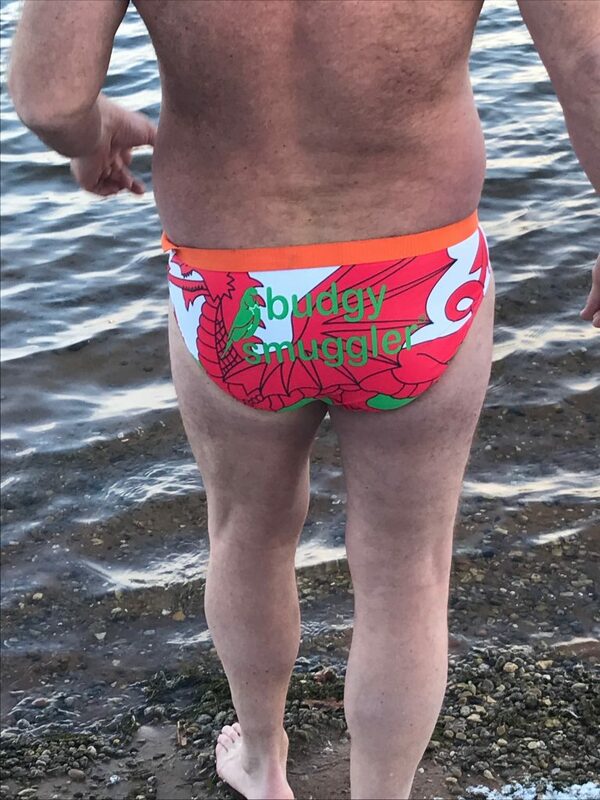 Peter finished his swim in 41m.05s wearing the best pair of trunks we’ve seen this winter. Our next finisher was Debbie Hazeltine who completed her mile in 47m.33s, completing her mile in style, in what looked like the exit from a 50m dash. Debbie and her second Mike Russell travelled from Kent to swim with us. We’re glad that their long journey was rewarded with a successful swim. Overseeing all of the fun and games, as always, was an army of dedicated volunteers, which with an air temperature of 0.5ºC was no picnic. Our huge thanks goes to them for signing the swimmers in, crewing the safety boats, taking the videos, recording the times and looking after the swimmers in the recovery room. 14 volunteers in total, to ensure that the swims are recored accurately and that the swimmers safety is maintained from start to finish. 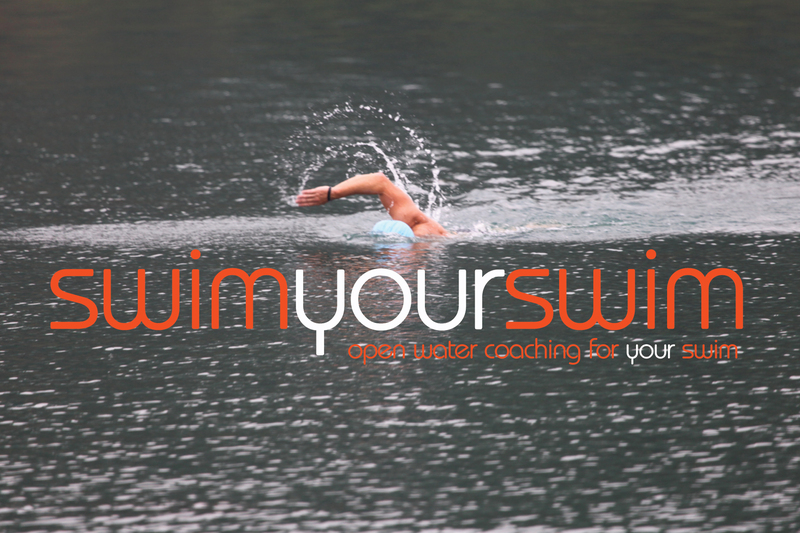 The STA Winter CPD course, passes on our knowledge to candidates who wish to apply this level of care to swimmers at their lakes and venues. We’re extremely happy to share what we’ve learned over the last 80 plus Ice Miles. We only have 5 CPD spaces left in February, so please register quickly if you wish to join us. Congratulations to Alice Goodridge, Sue Zergi, Tracey Sharratt and Sarah Wiseman who completed their STA Winter CPD yesterday. Same again next weekend, see you lakeside.